With the new Disney x Coach collection recently released, we got some major inspiration from the 80+ piece collection featuring purses and clothing, to even bookmarks and coasters. We create a lot of Disney pajamas here at Richard Leeds, but we need to carry our Disney obsession outside the house, too! Here's three outfits we created centered around our favorite pieces in the collection. The Disney x Coach collection isn't just for the ulta-fem: it can be styled up with an edge, too. 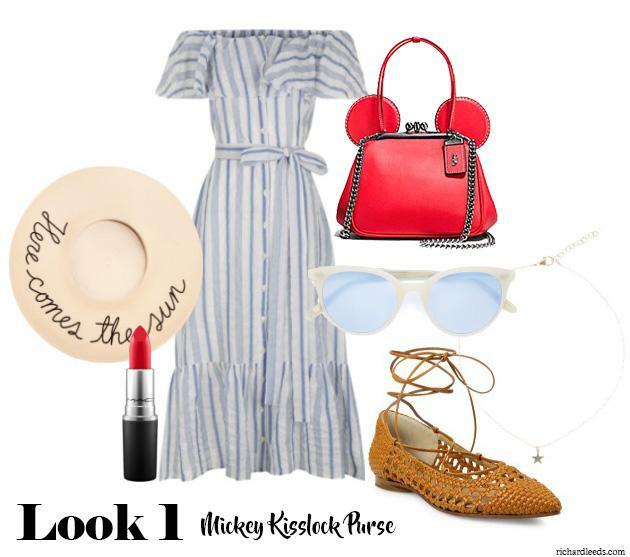 For this outfit, we loved pairing the Mickey Charm Bracelet with pieces that have attitude. An asymmetrical skirt shines against a striped tank, and black Chelsea boots give it that I-don't-care vibe. Spritz on some perfume, grab that coffee, and sling that sassy star purse over the shoulder, you're ready to conquer the day! 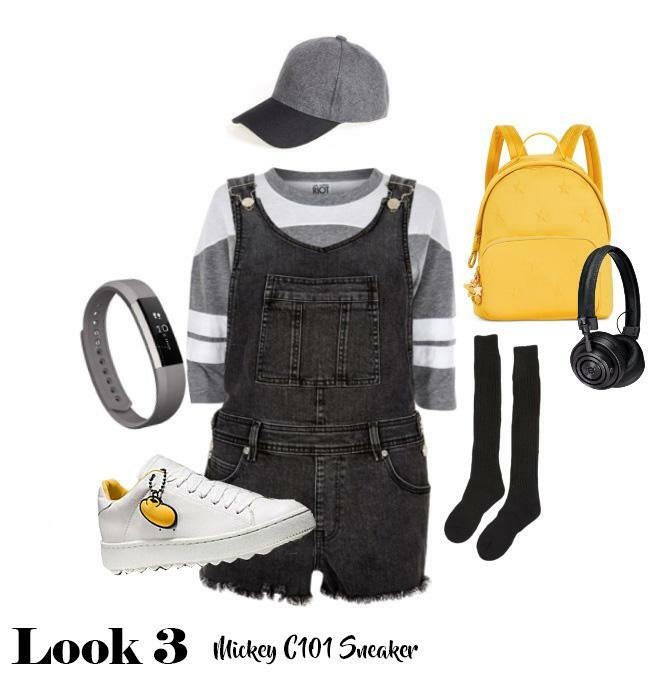 The final look we styled around the fresh Mickey C101 Sneaker is ideal for school days or hanging out with friends on the weekends. Overalls have made a comeback, and with a varsity-tank they scream sporty-cool instead of '90s mom. A baseball cap (worn backwards optional!) keeps you shaded in the summer sun, and knee socks bring attention to the white sneaks. Add a pop of color with a bright yellow backpack for storing everything you need. Sign us up for class if we get to wear this outfit.